Excuse my tears, I'm having "Trouble" handling my "Emotions." Britney Spears is of course my ultimate pop queen, but Mariah Carey is the #1 vocal powerhouse of all-time. They share many fans, and their mutual appreciation of one another's work is a pop culture dream come true. Ahh, to be a fly on the wall, dahhhhling! Even though everyone in the world should be one, it's cool to know Mariah Carey is a Britney Spears fan. — Mariah Carey on "Watch What Happens Live with Andy Cohen"
"You never know who you’re going to meet at dinner parties!!" 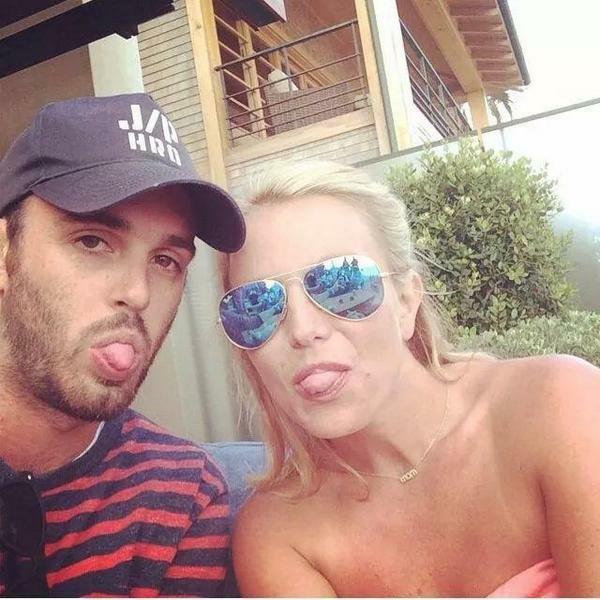 Britney declared in her Instagram caption. "Great night! So much fun, thank you Cade!" 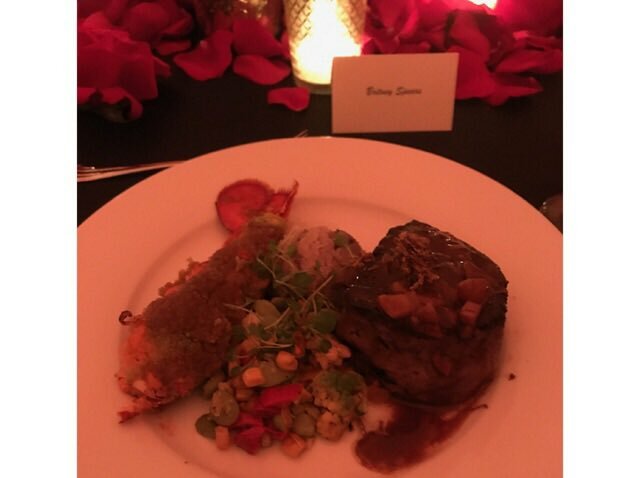 Britney also shared a pic of the fancy main course. BRB - drooling! 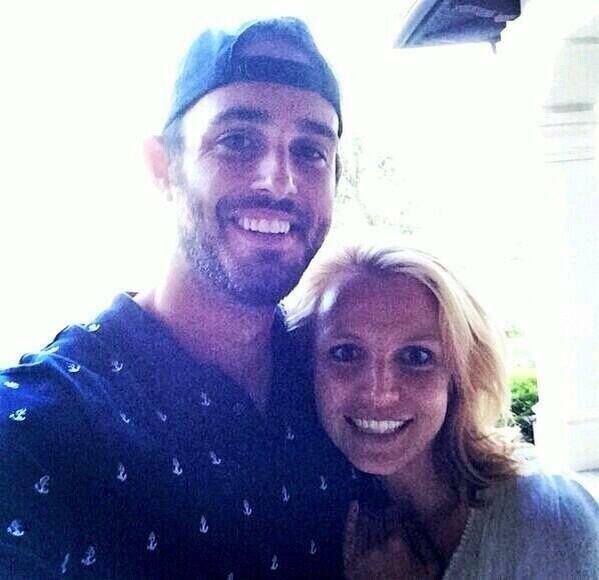 Who is the "Cade" Britney thanks in her caption? I did a little Google searching and found out Ms. Spears has been friends with a guy named Cade Hudson since at least the early 2010s. My friends at Absolute-Britney have a forum called Universe, where fans have discussed the friendship. Cade is an agent at CAA, the top Hollywood talent agency. TMZ called Mr. Hudson "Hollywood's Most Popular Agent." It's reported his famous clients include Sean Penn, Gwenyth Paltrow, Kate Hudson, Nicole Richie, Joe Jonas, Paris Hilton, Bella Thorne, and Emma Roberts. Britney has brought Cade on stage at both the "Femme Fatale Tour" and "Britney: Piece of Me." In any event, I'm so happy Spears and Carey reunited, and I hope they meet again one sweet day. Maybe a double date with Sam & Tanaka? Back in the late 00s, Sephora was not what it is today. Beauty bloggers had no impact on their sales, celebrities weren't doing major collabs there, and it was kinda just another store in the mall (with a cult following, of course). The 2010s YouTube beauty guru boom eventually came and changed all that, but Sephora's superstar status began rising in 2008 and 2009 when edgy celebs like Kat Von D and Lindsay Lohan put out their first beauty products there. Fun fact! My first ever Sephora purchase was the lotion version of the Sevin Nyne self tanner. It was awesome! It actually went on very dark, so you could see where your tan would be. A little messy, but cleaned off easily. You blended it in until it disappeared. A couple hours later, you were much more tan. Sadly, Lindsay and her business partner were accused of stealing the formula from someone else, so Sephora removed it from stores. It's still available on eBay, but my beauty genius friend Heather Marianna doesn't recommend self tanners that are more than two years old.